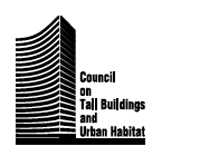 The goal of the competition is to shed new light on the meaning and value of tall buildings in modern society. The age of the tall building as a single iconic piece of sculpture, standing in isolation from its surroundings, is coming to an end. Designers have a responsibility to ensure that these permanent urban structures engender a future-oriented urban response to the greatest challenges of our time: unprecedented population growth; mass urbanization; climate change; environmental degradation; social, political and economic change; and the rapid advance of myriad technical innovations. The future of humanity on this planet relies on the collective benefits of urban density; reducing both land consumption and the energy needed to construct and operate the horizontally dispersed city. Tall buildings must now be the vehicles for creating increased density not just through sheer height, but by connecting multiple layers of the city. Physical urban infrastructure, circulation, greenery, and urban functions traditionally restricted to the ground level would all, ideally, continue up and into the building, such that the buildings themselves become an extension of the city: a part of the two-dimensional horizontal urban plane flipped vertical.